A man from Haryana contacted the customer service of Google but met with no help. He then tried to contact Google on Twitter to solve the problem he is having on his Google Pixel but was not met with satisfying answers. Manu Aggarwal has even made a video telling about the issue. 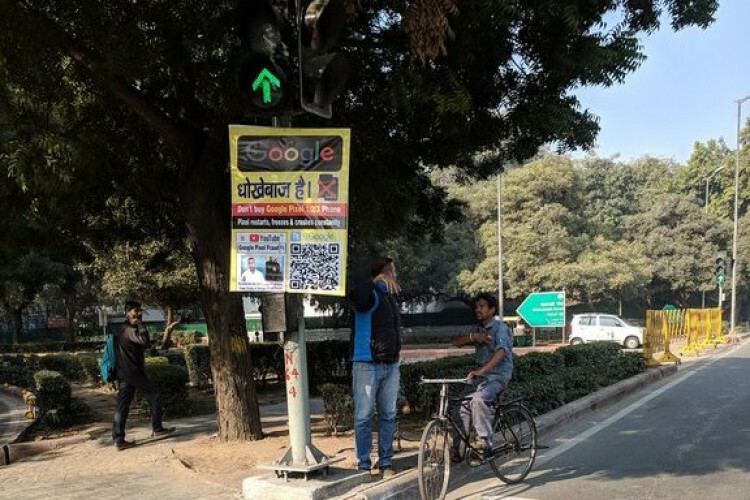 But his anger level was not coming down and then he decided to put posters criticizing Google and its phone on the streets of Delhi.